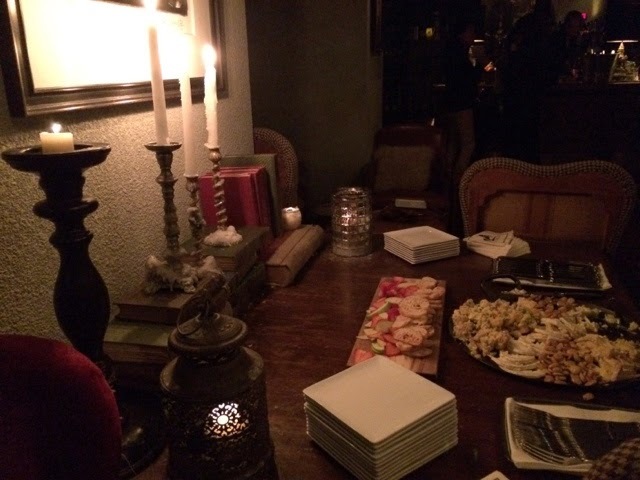 Last Tuesday, I was invited to the San Francisco launch party at Cavalier's private room of a new restaurant discovery app called Flavour backed by the Scripps Networks and Aspect Ventures in conjunction with San Francisco Restaurant Week. I met some fellow food bloggers based in SF Bay Area and chatted with Flavour's CEO, Emily Keeton, as well as investors from Aspect Ventures. We discussed the reason behind the creation of the app and its differentiation among all other online restaurant-based apps. Cavalier served its famous burger from sister restaurant Marlowe and a foie gras with gelee toast. At first glance, I could tell that the Flavour team spent a good amount of time with the UI design, which is sleek, clean and fresh. It almost felt like I was on an e-commerce app for a luxury brand! I was greeted with a half piece of boiled egg topped with caviar on the San Francisco home page. Page after page, images of well curated fine dining dishes on a white platter popped out, making me hungrier. Good thing I had a Pimm's Cup on hand to keep my cravings to a minimum. Based on preferences and location, I was given a list of recommended restaurants with reviews from a combination of food critics, top food bloggers, industry experts and knowledgeable locals. I can also create a collection of my favorite restaurants and easily share it within the app. The collection feature is really a great tool for me as a food blogger or any walking foodie encyclopedia since readers and friends randomly ask where they can take guests to eat in San Francisco. Although Flavour is currently integrated to Opentable for booking reservations and Foursqaure, Emily mentioned that they are looking to partner with other vendors and more restaurants. I do hope that besides online reservation systems, they also integrate with restaurant payment apps to provide a seamless dining experience end-to-end from restaurant discovery to actual completion of a meal. 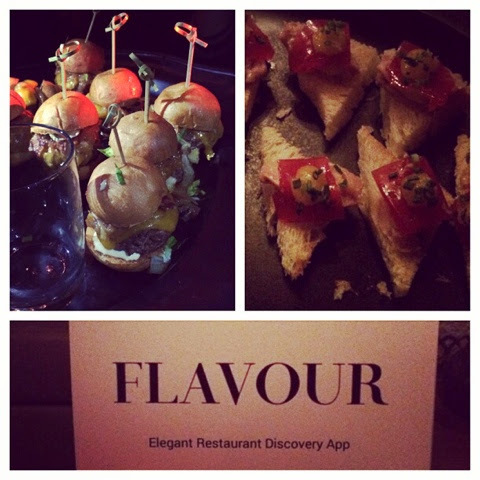 #Getflavour and let me know what you think of the app!